Join us a for a unique dinner and benefit event! TFI is hosting a Pollinator Dinner fundraiser! —– Delicious foods brought to us by our pollinating friends! Our annual dinner this year will be at Holy Macaroni! where we’ll be serving a variety of foods that are only available because of natural pollination. This event rounds out a week of pollinator education and our Birds and the Bees Festival —– A fun and yummy way to connect with nature and consume a little bit of it too! Very pleased to have Jennifer Hopwood, the Midwest Pollinator Conservation Specialist for the Xerces Society, as our special guest and keynote speaker! There will be several great silent auction and raffle items too. Buffet menu includes herb roasted loin of pork with honey blueberry sauce, gratin of sweet and yellow potatoes, rice with garbanzos and fresh herbs, medleys of eggplant, zucchini, squash, onion, pepper and other vegetables. VIEW OUR INVITATION AND BUY YOUR TICKETS NOW! 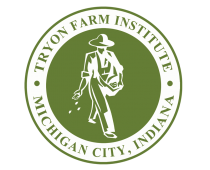 Many thanks to the Tryon Farm Guesthouse for sponsoring our special guest speaker Jennifer Hopwood! i would love to attend. please let me know how to do that. Will there be food for vegans? The menu includes a vegan garbanzo bean/multi-grain rice/herb dish, a garden salad, and a vegetable medley of eggplant, zucchini, squash, onion, and peppers.